Last week, I was out for a meal with my family. When we were finished eating, the waiter brought over the card terminal, keyed in the amount and handed it over to me. I plugged in my card, tapped in my PIN and returned the terminal to the waiter. They printed off a receipt, returned the card with the receipt and off they went. That story doesn’t sound amazing—in fact, to many of you it probably doesn’t even sound interesting—but it is. In just a few seconds, the restaurant has communicated with its payment processor, the card network, the customer’s bank and its own bank to decide if I have enough money to pay. And all of that happens automatically while I’m making small talk with the waiter. When you stop to think about it, the development of card payment technology is a huge milestone for civilisation. What Types of PDQ Machines are There? What Types of Payment Can PDQ Machines Accept? Should I Buy or Lease a PDQ Machine? Last year, we passed another milestone: for the first time ever, credit and debit transactions accounted for more than half of all retail transactions and over half the value of all retail transactions. So not only are consumers spending more money with cards than cash but they’re also spending with them more often. With consumers increasing moving away from cash and towards cards, businesses must accept card payments if they want to stay competitive. To do that, you need what’s called a PDQ machine. In this guide, I’ll walk you through everything you need to know about PDQs, covering different types of PDQs, accepted payments types, costs and purchase options. If you have any extra questions, leave me a comment and I’ll get back to you as soon as I can! What Type of PDQ Machines are There? A PDQ (Processing Data Quickly) machine is a device that merchants use to accept card payments from their customers. These machines are also called point of sale terminals, credit card terminals or chip & PIN machines. The machine works by reading the data stored on a customer’s card, accepting their PIN and then sending the information to the acquiring bank. The nitty-gritty details are quite complicated so I won’t go into it in much detail here. For a full explanation of the inner workings of a card payment, check out our blog post The Ultimate Payment Processing Guide. In the UK, there are three different flavours of PDQ machine: countertop, portable and mobile. All three have different advantages and disadvantages so there’s not really one that’s better than the others for all situations. In the next few sections section, I’ll look at all three kinds of PDQ machine, discussing their advantages, disadvantages and common use cases. 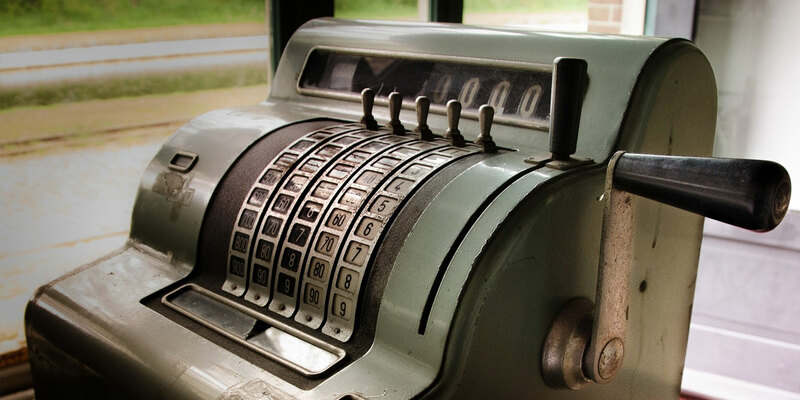 At Cardswitcher, we help merchants compare their payment processing options. You could save up to 40% in your card processing fees in just 2 minutes! Click here to get started! Countertop PDQ machines are the most common sort of machine and you probably see dozens on a daily basis. These machines are perfect for businesses that only take payment from one designated section of your premises. This is the case for most retail businesses where payment is made at a set checkout. Countertop PDQ machines are physically attached to the POS system and communicate externally via a phone line or ethernet cable. Common countertop PDQ machines include the Spire T4220, Spire SPc50, Ingenico iCT220, Ingenico iCT250 and Verifone VX520. 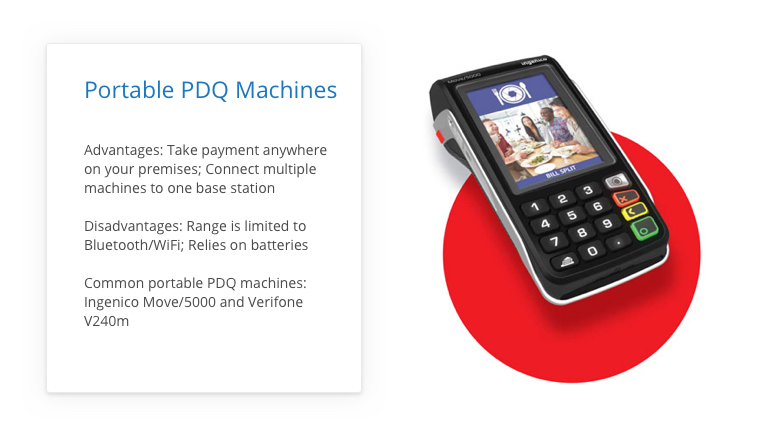 Portable or moveable PDQ machines connect to a base station via Bluetooth or WiFi and are powered by a battery. This lets you take payments away from the base station. These types of PDQ machines are useful for when you have large premises and need to take payment anywhere within it and not just at a set checkout area. Portable machines are most often used by bars and restaurants so staff can take payment from a customer at their table. Bluetooth machines have a maximum range of around 100 meters. However, this is likely to be substantially less in buildings. WiFi machines should have a range of up to 50 meters when used inside. 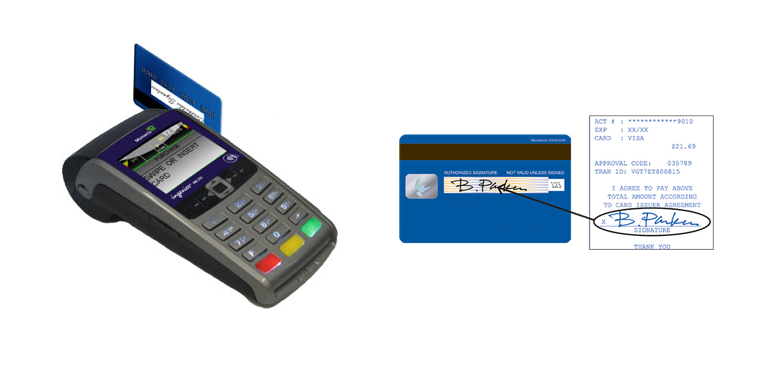 Common portable PDQ machines include the Spire M4240, Spire SPw60, Ingenico iWL222, Ingenico iWL252 and Verifone VX680. A mobile PDQ machine will use the mobile telephone network (GPRS or GSM) to stay connected outwith a fixed business location. In theory, this means you can use a mobile PDQ machine to take payment anywhere in the country. However, since you’re reliant on the mobile phone signal, you’re out of luck if there’s no reception. 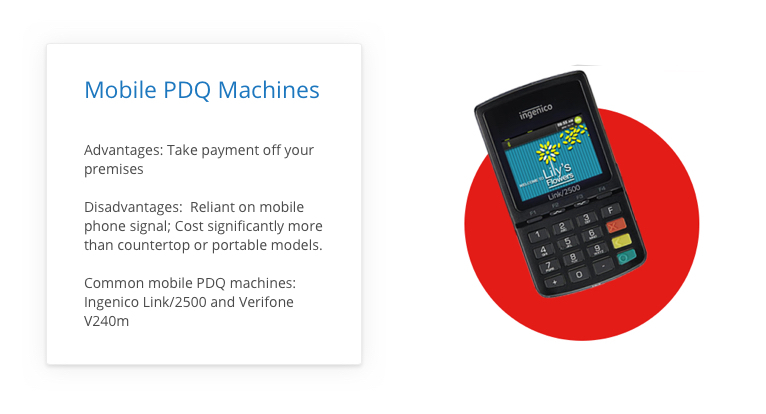 Mobile PDQ machines are most commonly used by businesses where payment is taken off premises, for example, tradesmen, debt collectors, market traders, travelling salespeople and so on. 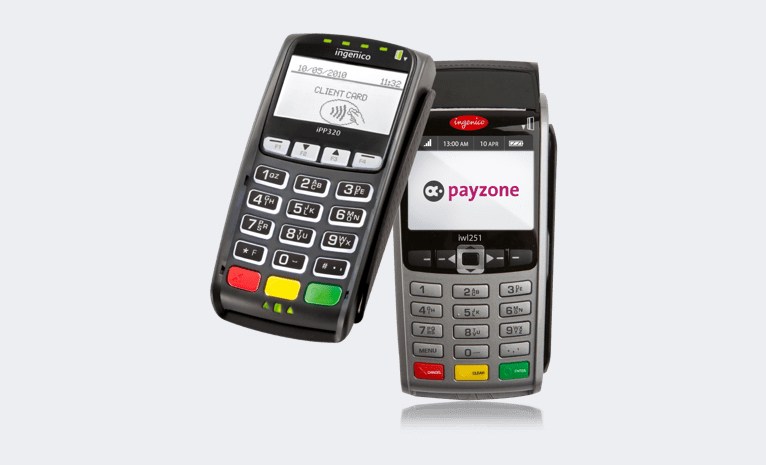 Common mobile PDQ machines include the Spire M4230, Spire SPw70, Ingenico iWL221, Ingenico iWL251 and Verifone VX675. In the last five or so years, a new breed of mobile PDQs has emerged called mobile point of sale devices (mPOS) or simply card readers. A card reader is simply a compact terminals that pairs with a smartphone or tablet via bluetooth. The smartphone or tablet then connects to the acquirer via WiFi, 3G or GPRS. Card readers are favoured by micro businesses because they are typically inexpensive to buy and have no ‘add-on costs’ other than the transaction fee, which is materially higher than a tradition leased terminal. Common mobile card readers include the iZettle, SumUp and Square devices. Before 2004, most credit and debit cards used a magnetic stripe to hold card data. The merchant would swipe the card, ask the customer to sign the receipt as authorisation and then send the data to the issuing bank to process. So all criminals needed to do was steal a card and roughly forge the signature. The answer to growing card fraud was Chip & PIN. Chip & PIN was originally introduced in Europe as EMV (Europay, Mastercard and Visa). It was launched in 2004 and made mandatory on all cards in 2006, cutting card fraud by 13%. Chip & PIN works by storing the card’s authorisation data on a small semiconductor chip embedded into the card. The customer enters their PIN into the keypad and the terminal compares their four-digit code to what’s stored on the chip. Because Chip & PIN was made mandatory, it quickly replaced magnetic stripe payments and five or so years ago counted for the vast majority of all card transactions. However, there’s a new payment method on the scene. Although contactless cards have been around since 2007, it really took off around 2012 when the transport system (notably TFL) and fast food restaurants introduced contactless terminals in a bid to reduce their queue times. Contactless cards have an embedded chip and antenna which transmit card data to the card terminal via radio-frequency identification (RFID). Cardholders merely need to hold their card within a few centimetres of the terminal for the data to be captured. Because no pin is used, there is no specific means of cardholder identification, hence the £30 transaction limit to mitigate fraud. (This limit doesn’t apply for mobile contactless payments and I’ll discuss why in the next section. )because fingerprint technology is used for cardholder identification. Mobile payment systems like Apple Pay and Android Pay are relatively new to the payment industry. Mobile Payments work in roughly the same way as a contactless payment with a couple of tweaks. Because your phone must be biometrically unlocked, mobile payments do not have a cap of £30 per transaction. This is an outdated (although still occasionally used) way of completing a card payment. The merchant would swipe your card through the PDQ machine, which would allow the machine to read the payment details. To verify that you were the cardholder, you would sign the receipt and the merchant would compare the receipt signature to the signature on the back of the card. This is a question we get asked a lot. And I mean, a lot. Unfortunately, there’s no definite answer to the question as quite how much you’ll have to pay depends on your business, your requirements and your card turnover. Unfortunately, PDQ machines have a couple of upfront costs you have to deal with before you can get up and running. Set Up Fees: A (sometimes avoidable) one-off fixed fee for the installation of new merchant facilities. The setup fee typically sits at around £50–150. If you negotiate with your supplier, they are sometimes willing to drop this fee. PDQ Machine Purchase Fees: When it comes to the actual PDQ machine, you’ve got two options: buying or renting. (More on the choice later.) 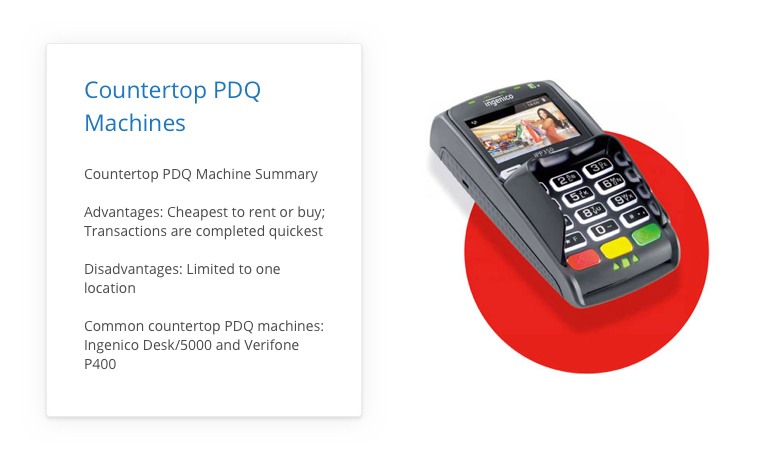 If you want to purchase your PDQ machine, it will cost quite a lot, typically anywhere from £200 to £800, depending on how fancy the terminal is. There are a bunch of monthly fees you should expect to pay, ranging from the basic cost of renting your PDQ machine to the percentage your acquirer charges on each transaction. Here is a quick overview of what monthly charges you should expect and how much they will be. Terminal Hire: This is the basic rental charge for your PDQ machine. Typically £14–16 for a fixed countertop machine, £17–21 for a portable machine and £20–24 for a mobile machine. If you have bought your PDQ machine outright, you obviously won’t have to pay this. Merchant Service Charge: This is the charge on every credit or debit transaction you accept. Typically around 0.25–0.35% for debit cards, 0.7–0.9% for credit cards and 1.6–1.8% for commercial credit cards. Authorisation Fees: An additional charge for every authorisation on every transaction to test the payment method. Typically around 1–3p per transaction. Minimum Monthly Service Charge (MMSC): A charge levied if your transactions fall below a certain level. If your other fees come to more than the minimum monthly service charge, you aren’t charged the MMSC. Typically set at £10–20 per month. Since your provider is investing a lot of money upfront, the MMSC is there to ensure they make back their investment. There are a couple of one-offs or irregular fees that you might experience over your contract. The most common is the chargeback fee, which kicks in every time a cardholder requests a chargeback. This typically sits around £10–20 per instance. For a guide on how to reduce the number of chargebacks you receive, check out our blog post 5 Ways to Reduce Chargebacks. Without getting too technical, a PDQ machine captures your customer’s card data (specifically the PAN/16 digit number), authentication data from the customer (their PIN) and transaction data (the value) from the merchant and transmits this data to the merchant’s acquirer. 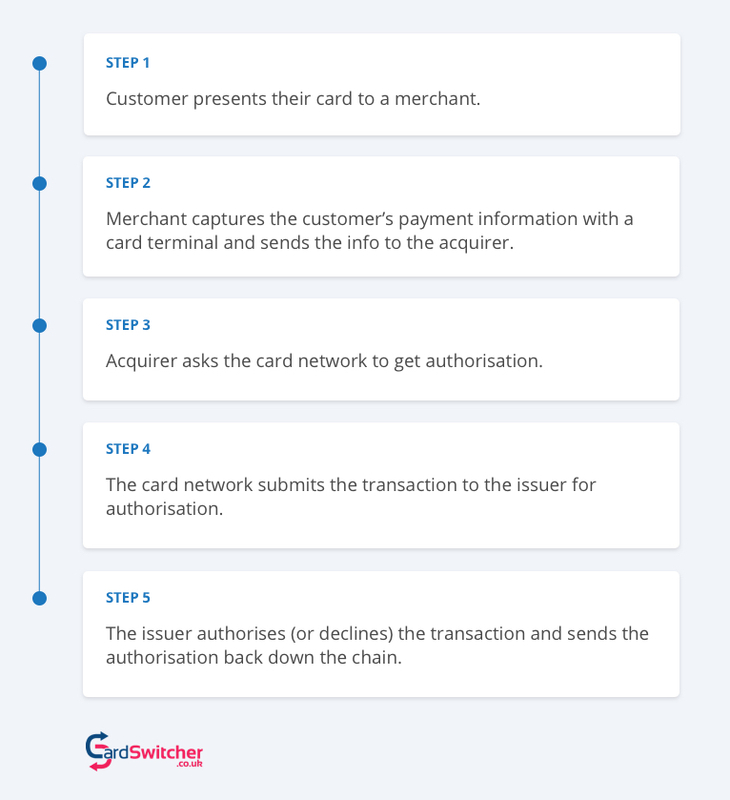 The merchant’s acquirer then transmits that data to the card scheme (usually Visa or Mastercard) and the card scheme transmit the data to the issuing bank (the bank who issued the card). The issuer checks if there are sufficient funds in the account and whether the card has been reported stolen. If there aren’t sufficient funds or the card has been reported, the issuer declines the authorisation. Sometimes the issuer will return a requirement for the merchant to call them for a manual check on the cardholder identity if the transaction seems abnormal or suspicious. If there are sufficient funds and the card hasn’t been reported, the issuer authorises the transaction. Finally, the issuer passes the authorisation (or rejection) back down the chain from card scheme to merchant acquirer to merchant. At the end, the merchant’s POS gets a message telling it if it can proceed with the transaction. The whole process normally takes one or two seconds and happens while the customer and merchant are making small talk. I know that’s a lot to take in so here’s a truncated version! 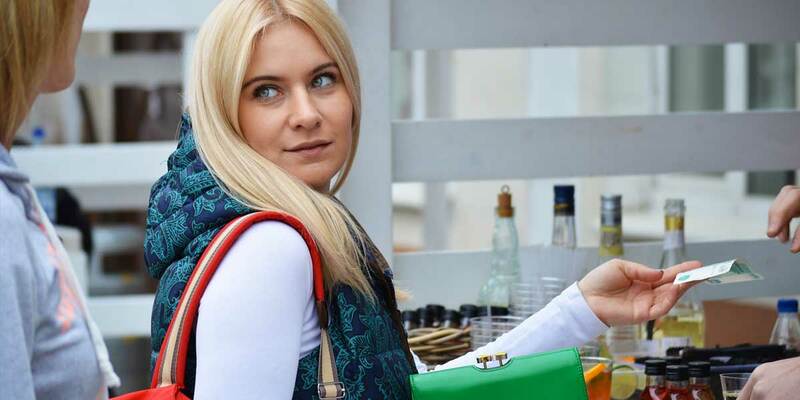 Interestingly, no money changes hands throughout this entire process — even after the merchant receives authorisation from the customer’s issuing bank. The settlement process, during which money is actually transferred from customer to merchant, actually takes place much later. Here is a very quick overview of the process. 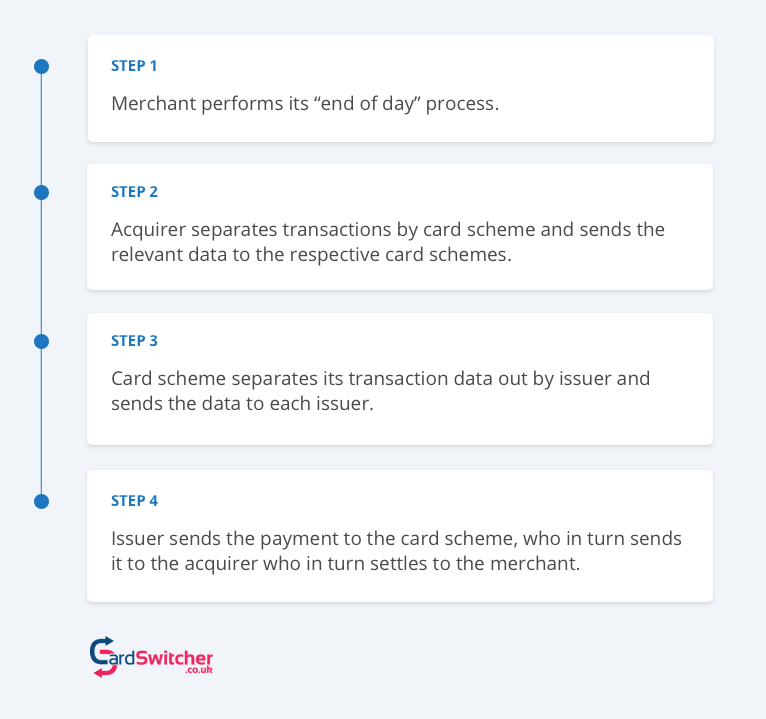 Acquirers typically receive funds from the card schemes on the day following the transaction and either settle to the merchant that same day or two days later. This is where it gets complicated. There’s a bunch of organisations that resell PDQ machines and a couple that actually go so far as to rebrand the PDQ machines and sell them as their own. In the UK, there are around 24 different companies selling devices, some you might have heard of (Fujitsu, Motorola, First Data) and others you might not have (Bluebird Soft, ITWell, Datecs). in this section, I’m going to focus on the three biggest players in the UK market: Verifone, Ingenico and Spire. I’ll give you a brief history of the company and a quick rundown of their key products. Let’s get started! 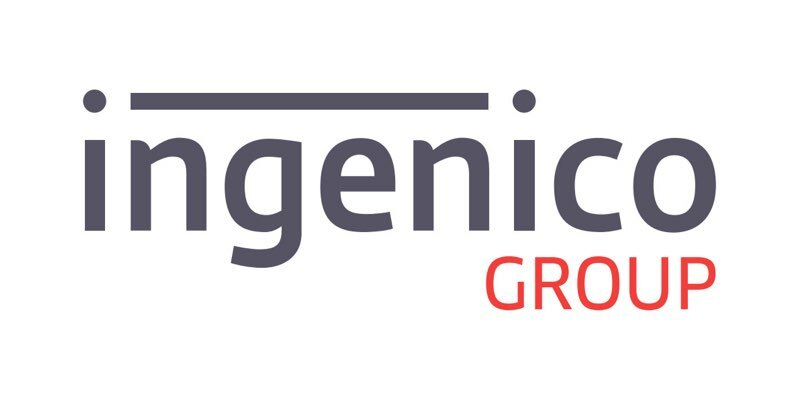 Founded in 1980 in France, Ingenico is one of the largest payment terminal manufacturers operating in the UK. In terms of traditional retail, Ingenico is definitely the name to beat. Building on its wildly successful countertop PDQ machines, the company has come to dominate the retail landscape. However, don’t think the company is sitting on its heels. 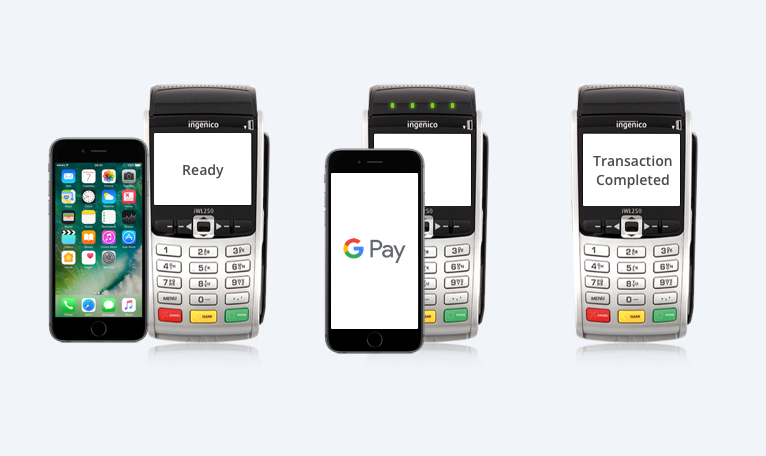 Ingenico has launched a range of new products to support changing payment behaviours, including mobile products that integrate with smartphones. iCT250: Countertop device designed for traditional retail environments with fixed payment points. 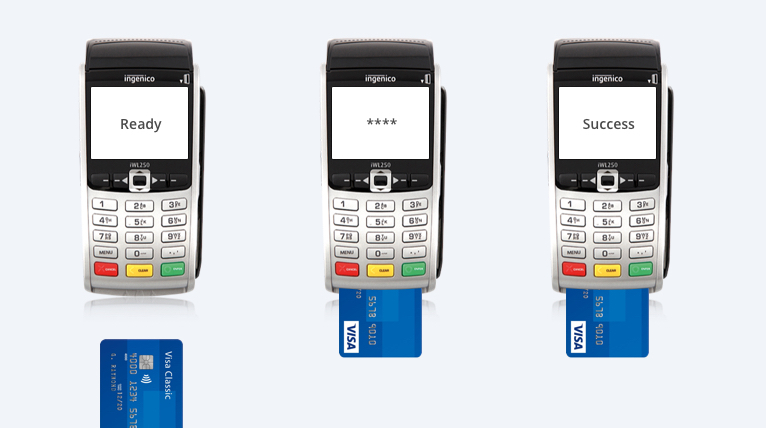 Small, robust and easy to use, the iCT250 is one of Ingenico’s most successful payments. iPP350: Countertop device designed for traditional retail environments with fixed payments points. The iPP350 is another immensely successful product from Ingenico. Outstanding processing times combined with a robust design make this a standout product. Move/5000: Portable or mobile device. The Move/5000 supports 3G, GPRS, Bluetooth and WiFi to enable to you to accept payment in any situation. A powerful battery, big touchscreen and inbuilt printer make this an excellent choice for a wide range of businesses. 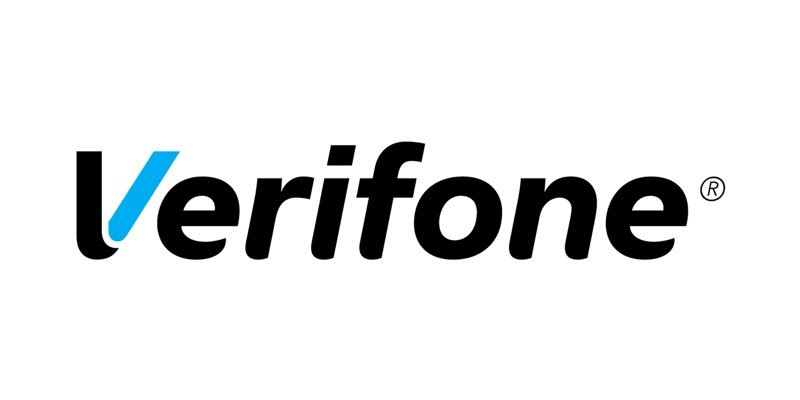 Verifone was founded in Hawaii in 1981. Since then, it’s expanded into 150 countries and generated $1.87 billion in revenue last year. The company has a wide range of payment products, including full point of sale systems, standalone card terminals and automated payment solutions. While Verifone isn’t quite as successful in the UK as Ingenico, it’s growing every year. It’ll be very interesting to see how the future of the industry plays out, especially with recent changes in payment behaviour. P400: A countertop device with optional connectivity via Bluetooth and WiFi. This is Verifone’s new flagship device and comes with a sturdy design and a beautiful touch-enabled screen. VX820: An older countertop device designed for traditional retail environments. 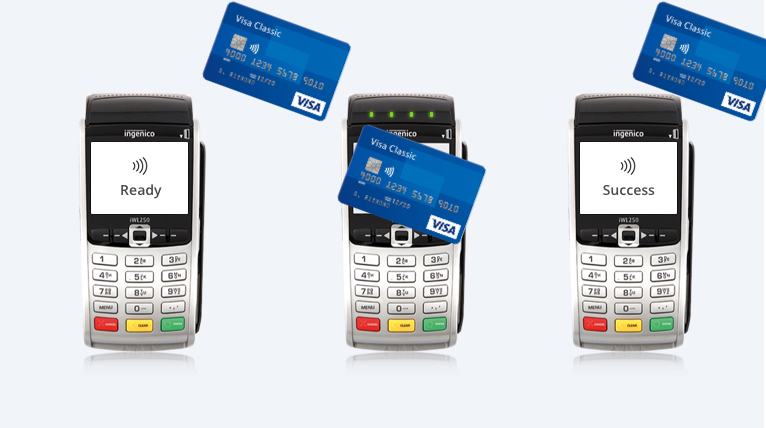 The VX820 is probably the most popular Verifone PDQ machine and has done well because it does the basics very well. VX680: A portable/mobile device designed for delivery services, stadium vendors and everyone in between. The VX680 supports WiFi, Bluetooth and phone networks so you’re as likely to see them in bars and restaurants as you are in true mobile settings. Back in 1978, George Wallner, David Saul and Leslie Fritz founded a payment terminal company called Hypercom. Hypercom performed very well in the south pacific and was acquired by Ingenico in 2011. However, the UK and Spanish operations were sold separately to a private investment company and the new company was called Spire. 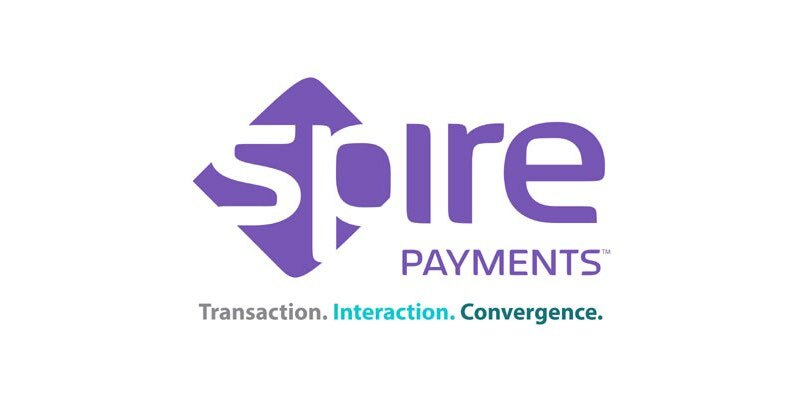 While Spire isn’t quite as successful in Europe as Hypercom is in the south pacific, it’ll be interesting to see how it develops over the next decade or so. SPc50: Countertop device designed for busy retail POS systems. The SPc50 comes with dial-up, Ethernet and optional GPRS connectivity. This machine has a built-in thermal printer. SPw70: Portable device designed for hospitality, retail and attended kiosks. The machine uses WiFi or a wired USB connection. The long-life battery promises 80 hours of standby or 300 transactions before it needs to be recharged. SPw60: Mobile device designed for sporting or music events, trade shows, market stalls or short-term hire. The machine uses the phone network (GSM or GPRS) for connectivity and can also use WiFi if it is available. The long-life battery promises 80 hours of standby or 300 transactions before it needs to be recharged. Should I Buy or Rent a PDQ Machine? As I mentioned before, merchants have to decide whether they want to buy their PDQ machine outright or rent/lease it from a supplier. There’s a bunch of advantages and disadvantages so it’s difficult to say one is definitely better than the other. In the next two sections, I’ll look at each option in detail and will discuss the pros and cons of each. Renting a PDQ machine is quite simple. You agree to pay your supplier a set amount every month for a set number of months. After the contract runs out, you either return the PDQ machine or allow your deal to auto-renew. So why is renting a good idea? Well, if your business doesn’t have a spare £800 to spend on an ‘all singing, all dancing’ PDQ machine, renting allows you to spread the cost out over several years. This is especially important if you’re buying multiple terminals for your business as the costs can add up really quickly. Good points out the way, why is renting not such a good idea? The big one is that you tie yourself into a multi-year contract. If your business requirements change, being locked into a contract isn’t always ideal. Also, if you add up all your monthly payments, it will almost always cost more than just buying the machine outright. Last, while you’ll get a guarantee and might be able to take out additional support, you’re usually on your own if anything goes wrong outwith the standard warranty. Buying is also fairly straightforward. You pay the full list price in one go and own the PDQ machine outright. What advantages are there to this option? Well, if you have the cash, this is a great option as it’s cheaper in the long-run. It also eliminates the on-going monthly rental fees. If you buy the terminal outright, you usually take on all the repair, support and upgrade costs once the warranty has expired. So if your PDQ machine stops working one day after your warranty expires, you either have to pay for a new one or pay for the repairs. Depending on your luck, this can actually make outright purchase a more expensive option than renting. There are also problems with upgrading. If you want to upgrade your PDQ machine to the latest model, you have to buy it.